If you think of Laos as a small country in Southeast Asia with very few attractive tourist spots, you might be wrong. If you don’t believe yet, have a visit to Savannakhet Province to discover many interesting things. Located on the East – West Economic Corridor, with the largest population and the most developed economy in central Laos, Savannakhet is also a tourist attraction. So what does this province have to draw visitors? Follow me in this article to know the answer. 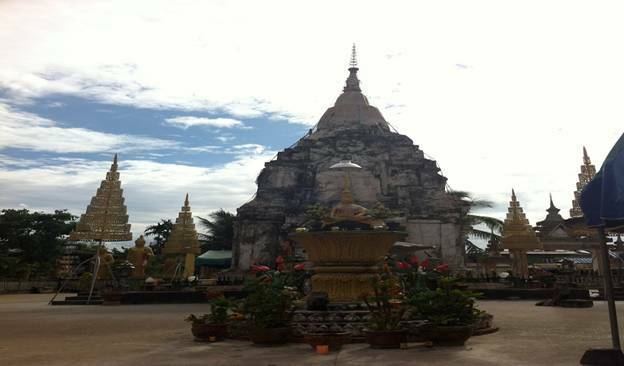 15km northeast of the central area of Savannakhet, That Ing Hang Stupa is considered the second pilgrimage site (besides Wat Phu – Champasak in south Laos). This structure has been restored and expanded to become a huge complex since 1548. That Ing Hang Stupa attracts tourists because of not only its spiritual popularity but also unique architecture. Seen from above, the campus of this stupa is in the shape of a square with 4 sides surrounded by brick fences. Inside the fences is roofed corridors and terracotta Buddha statues. Each year, there is a festival held within 3 full moon days in January (Lao calendar). Furthermore, there are also elaborately decorated Buddhist statues or bas reliefs. Here can travelers see tattooing and be blessed by monks. Another popular stupa in Savannakhet is That Phone Stupa. It was built during a long time from 557 to 700. Like That Ing Hang Stupa, this stupa also has an annual festival organized on full moon days but in February instead of January. Its aim is to celebrate the day when the stupa served as a shrine for offerings made to Shiva and other Hindu Gods. 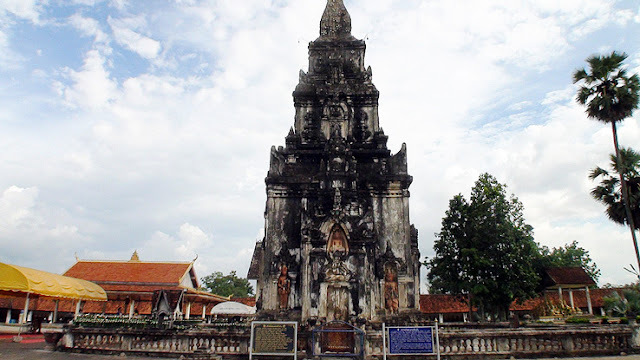 Wat Sainyaphum is the oldest temple on the banks of Mekong River in Savannakhet. Although it was constructed a long time ago, not until 1542, it was restored on a large scale with the sangha of over 200 members. This place is both a pilgrimage site and Sanskrit Buddhist school where monks are trained. Spend your time to admire the whole temple because it is perhaps known as one of the most beautiful temples in this province. 65km south of Savannakhet, Heuan Hinh is a house completely built of monolithic stones. Its architecture is similar to that of a temple. 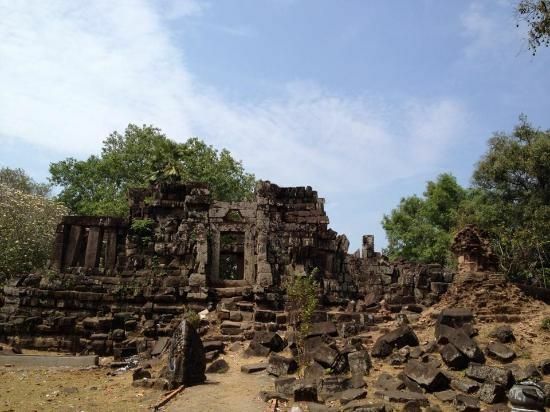 Heuan Hinh Stone House was constructed in 553 B.C with Cham or Khmer architecture style. Lying in a remote area, but this place still attracts a large number of tourists. For those who are interested in architecture or natural settings, Heuan Hinh is an ideal destination. 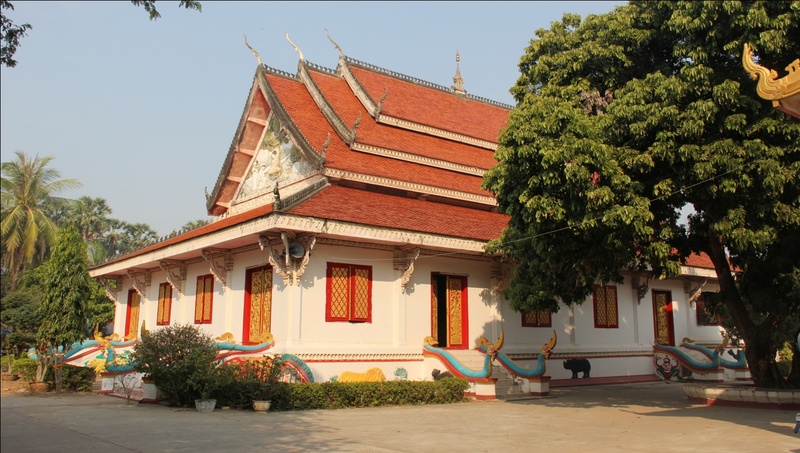 Nowadays, Heuan Hinh Stone House is one of historical and cultural antiquities of Savannakhet in particular and Laos in general. The name might tell you what this place has. 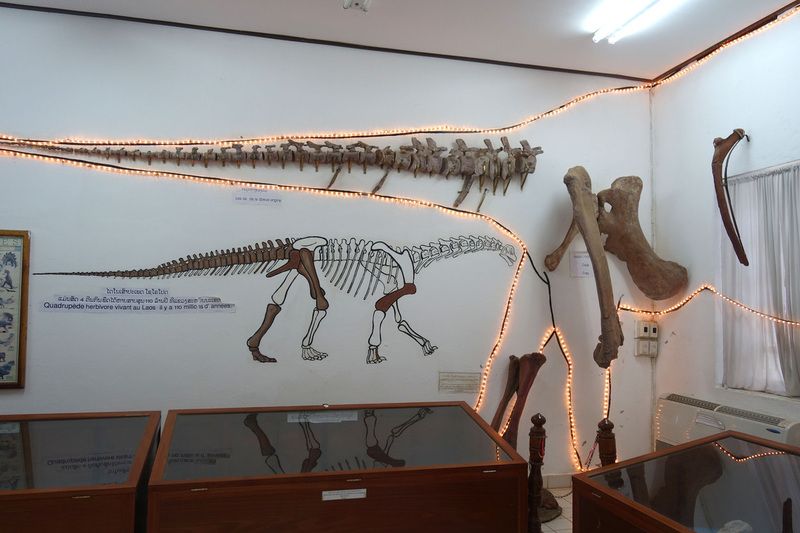 In this museum, tourists can admire dinosaur skeletons of the prehistoric time. The most outstanding among them is the ninety-million-year skeleton with 15 yards in length discovered by Jouse Heilman Hoffet (a French geographer) in 1936. Besides, Dinosaur Museum is the place exhibiting artifacts and weapons used in the period of the resistance against the USA. It’s a great idea for travelers to visit the museum and discover more about Lao history. With above places, I believe that your trip to Savannakhet will be full of memorable experience. Enjoy it!